It’s interesting when you think about how this show started…how did it end up like this? Never would I have expected some new character to show up halfway through the show and end up being such a major character in the end. You could argue that Hanemura was more important than Samon at the end, which is very surprising considering Samon’s role in the first half. It was a pretty predetermined ending…what you would expect based on what happened so far. There wasn’t really any room for twists in this final episode. I just liked that Mahiro and Yoshino moved on…part of me considered the possibility that they just went on with their bromance for the rest of their lives, which would have annoyed me deeply. Meh…it works. 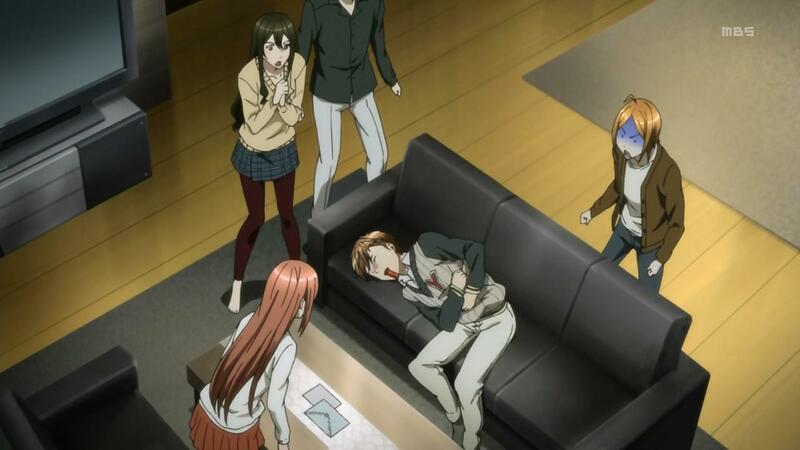 Anyway, the more important detail is that Yoshino has been shot. No Kusaribe is anywhere close to heal him…will he die? We haven’t seen any major characters die yet in this show…odds are he lives somehow. It’s odd to think about death in a show revolving so heavily around magic. 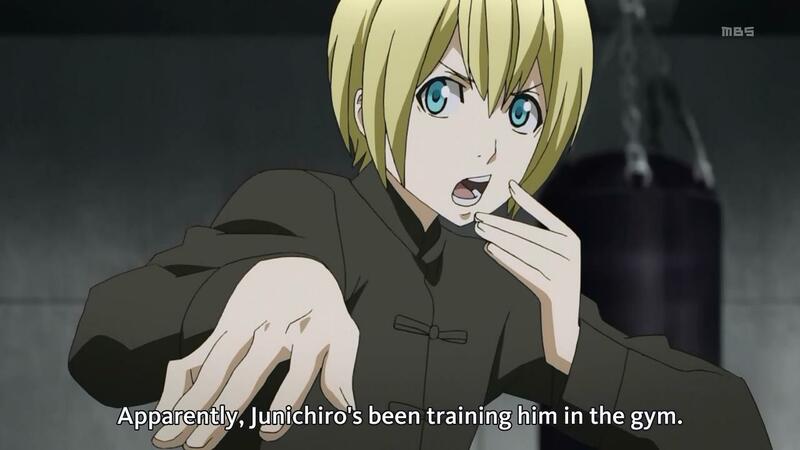 Considering that this is Mahiro’s plan…it seems odd for him to die in such a clumsy way…dunno what to say. Preparations for the last mission. Hanemura shows that he’s no longer just a wimpy sidekick (he still sorta is)…he can actually think for himself and he’s gotten quite a bit stronger in all this time. Not bad for someone who was randomly tacked on halfway through the show…his table flip was superb. Not sure how they plan to win this fight. The tree itself is Hanemura’s problem…I’m sure he can handle it just fine…it’s getting past the fleet. I assume Yoshino has some devious plan to distract them or subdue them or something. I’m surprised yet not surprised that he and Mahiro have gone into the frontlines. It’s only natural for them to be there, but don’t they remember what happened to them with the Tree of Exodus fiasco? They were both nearly killed. Either way, I like their characters…despite the fact that they were thrown into this mess, they give the sense that anyone else who was thrown into it wouldn’t have been able to do the same. And so everything is revealed. I was more hoping that Hakaze would accidentally kill Aika or even purposely kill Aika in an attempt to stop her from killing herself and leaving Mahiro and Yoshino with no one to blame (she would take the burden on herself). But it turns out Aika is much too powerful for that. I’ve been wondering why Hanemura doesn’t need offerings to use his powers up until now…guess that clears that up. It looks like next week, Mahiro and Yoshino won’t be taking the news all too well. Hanemura’s gonna need to knock some sense into them…and man up and whatnot. Path seems pretty clear from here…Aika has revealed her sacrifice, so now it’s just a battle against the Tree of Genesis. Should be simple, right? Somehow…I always suspected, but I never could make any sense of the theory. There was no way the Mage of Exodus could be a no-name like Hanemura…so it could only be her. Is it really true? Did she die in order to force that entire debacle with Samon? Does it really go so far back? Because her death is what caused Mahiro and Yoshino to oppose the Tree of Exodus, which would eventually cause them to turn against the Tree of Genesis once its power was unleashed. You can’t tell me that everything up until now was furthering the goals of the Tree of Exodus. 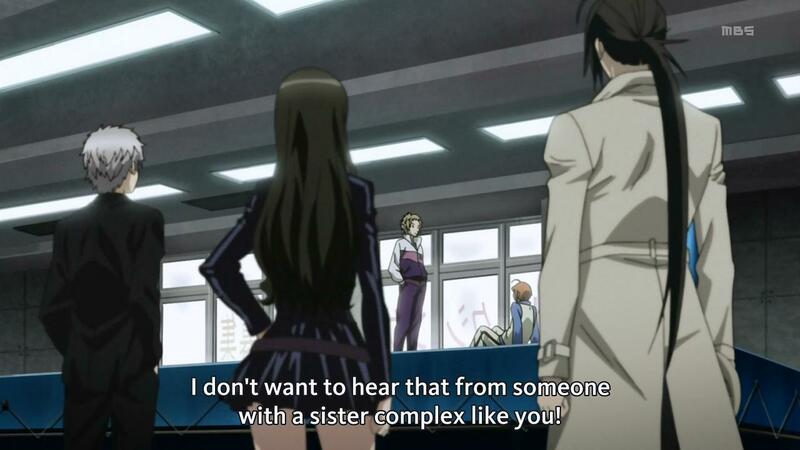 Now there are only two possible culprits for Aika’s murderer…Hakaze and herself. But if you really think about it, Mahiro won’t accept some excuse from Hakaze that she killed her because she was the Mage of Exodus…so she can’t have done it…right? That ending makes no sense…it had to have been either Aika or the Tree of Exodus’s will. So she decided to start fighting against the Tree of Genesis by training Hanemura…kind of an awkward way to go about it, but okay. 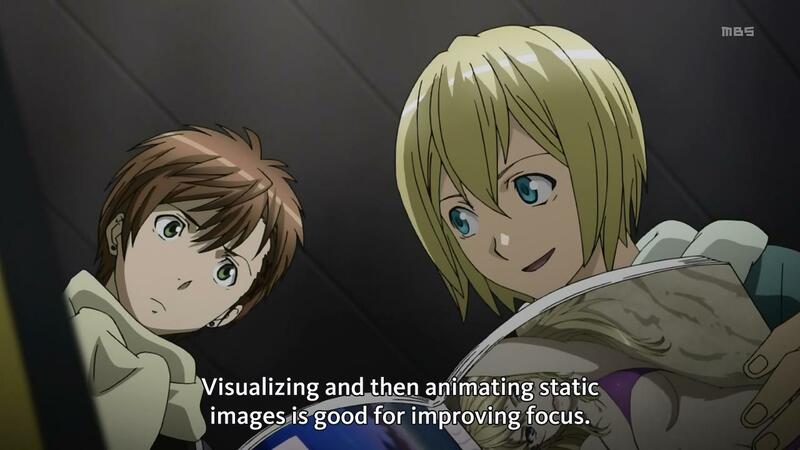 I don’t see why she can’t just help him directly…is it suggesting that the Tree is supposed to read actions, but not necessarily intentions? Yoshino also has a rare moment of lost composure…don’t get to see that every day. So Evangeline’s theory is that the Trees are actually weapons planted here by aliens…to be honest, I just kinda accepted them as gods, but that’s becoming more and more strange as the show goes on. This revelation, though…it suggests that the show is building up to a final fight against the Tree of Genesis, which I assume is much more than anyone has already suggested (if this is another Mass Effect ending, I’m gonna…). Hanemura finally said it…the secret is out so easily after all of this time. Everyone except Mahiro should be ashamed for not considering it until now. So will this lower Samon’s suspicions or increase them? On the one hand, surely he wouldn’t kill his girlfriend…but on the other hand, what if the fact that he was so entangled in this was suspicious? 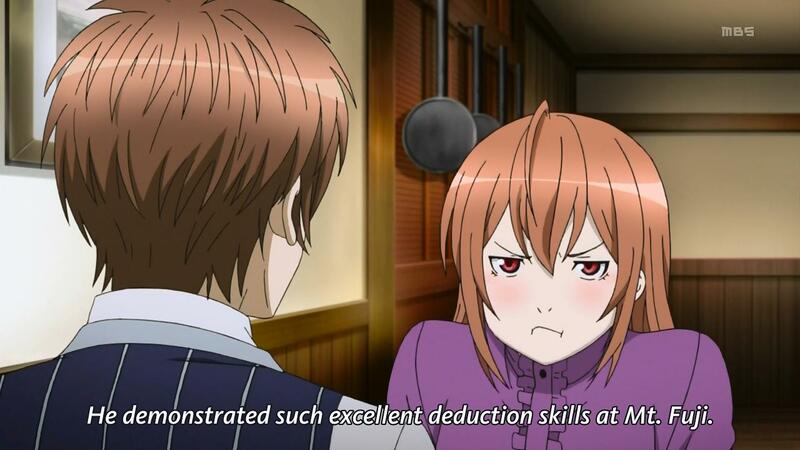 Of course, I have no reason to suspect Yoshino of killing Aika, but Samon doesn’t have to think the same. I really have no clue what this show is becoming…seems like this episode was almost exclusively the romance stuff with Hakaze and Yoshino. Still, I think it’s interesting that the other Kusaribe mages see him as purposely causing chaos for the clan in the wishes of the Tree of Exodus. I wonder if they suspect him of doing it unconsciously…because we’ve been given no clues of malice from him. It seems like they think he’s scheming it all, though. It also seems like Evangeline has found some interesting information too. Whatever happened to “the Kusaribe only pass on information through word of mouth”? Unless it was all a bluff. More Aika everywhere next week…one of these days it’ll all come together. One can only hope. 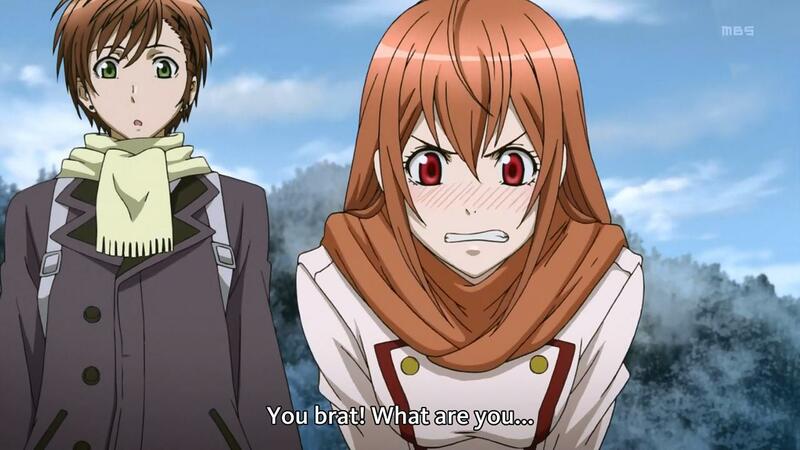 Hakaze really needs to cool it with her behavior…it’s starting to get painful to watch. 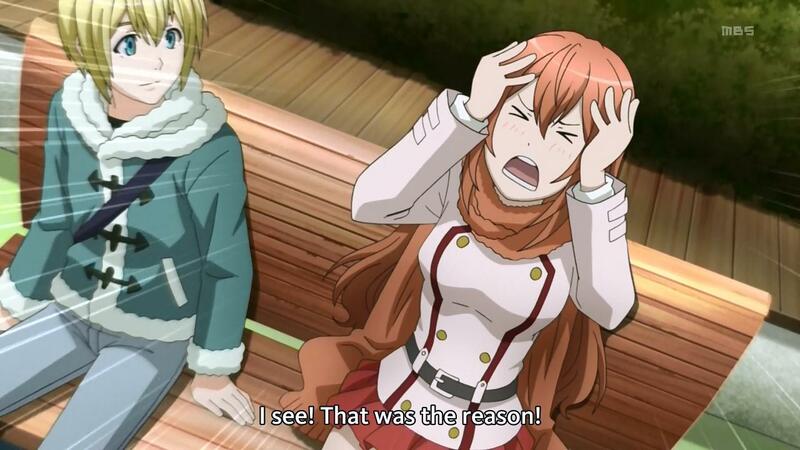 Oh dear god…Hakaze talking about Yoshino…so embarrassing…almost painful to watch. Also, Samon turning into a coward when talking with Hakaze…almost painful to watch. Still funny though. Anyway, nothing really serious happened this week…guess we’re still in that preparation phase. The only things were really Jun telling Hakaze she’s in love (the balls on this guy) and Megumu showing just what the extent of his power is. With his lack of limitations, it’s pretty convincing that he’s the Mage of Exodus…still having doubts myself, though. I wonder what the limits of his power are…even Hakaze needs an offering to use magic. And what’s this about him going around in a superhero costume now? What kind of show is this series turning into? I don’t even know…Is anything even happening next week either? I really can’t see much in the preview. While Mahiro has his doubts, I’m still pretty sure he isn’t involved in Aika’s death…but seriously, what the heck happened to her? It just seems like they keep making it more and more confounded.